Hello class, good evening and I hope you are all well. Tonight, we'll cover the basic steps covering your average winrate stat. It's something you're all already familiar with so this shouldn't sound complicated. This is the crucial one, it dictates what exactly you have to do in order to achieve what we'll learn in today's lesson. Play during a tier 8 premium tank marathon event, on a weekend. That's all, see you tomorrow, have a safe trip home! Edited by azakow, 23 February 2019 - 12:23 AM. I really think they should have it where the marathon only runs on one server so that you can have close to normal game play on the 2nd server. I've never seen so many matches where the teams just clump in a corner of the map or lemming en mass, but then don't push there advantage and throw the game. If this becomes the normal "meta" of game play then I will be taking a long break until marathon fever dies down. Judging by the last two days just playing any tier is enough. Pretty much always bottom tier & an obscene amount of hate from RNG. Fun fact, I had a good winstreak right after posting this thread. Oddly enough... I've been on tier 9 mostly the past 2 days. And even my Chinese tier 9 TD did manage to get from 48% "bad early grind", to 57% in 2 days. So I'm def not complaining event considering. But that said.... I never seen that many steam rolls and 15-2's etc in a day as I have today. Skoda T50 when doing stage V for 20% damage had eight games out ten with 13 to 15 rolls vs 0 on the enemy team. Edited by Balc0ra, 23 February 2019 - 02:12 AM. The flaw in your strategy is if you are losing then someone else must be wining. But you are Denethor, son of Echtelion, so you are crazy anyway. Edited by Gardar7, 23 February 2019 - 06:57 AM. I don't need weekends or marathons, WG is [edited]my game up continuously with bad teams for over a month! I laugh too now!!! After a couple of weeks you get used to it and you don't give a crap!!!! Edited by Vtsuk, 23 February 2019 - 07:39 AM. 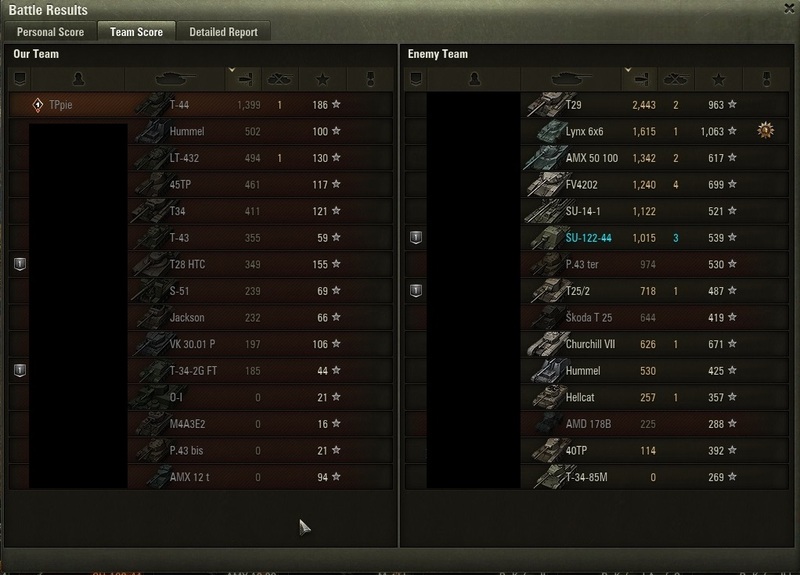 If you win that little over so many games with that wn8, it might be because you mostly do "empty" damage. It is not because MM screws you over when you go over 200 games. Play Vanilla, works like a charm. Seriously you have no reason to cry. What what do you mean "empty" damage? If you watch closely i have average spotted 2, i play in the frontline going in for the early damage and spots. I don't camp at the back sniping and doing damage after everyone is dead. I usually play lights and mediums, and when i go for the early spot i practicaly beg for the artys to preaim where I'm going but most of the times of they are to busy j...ing off in the bushes with the TDs!!! In general the amount of crappy teams i i get is enormous! I ussualy see 37% winchance and when im lucky 44! Up until the previous month i could easily keep my winrate above 50%, maybe i forgot how to play the game in the last month! I hope to remember how to play it again because obviously the MM is impeccable and not to blame!